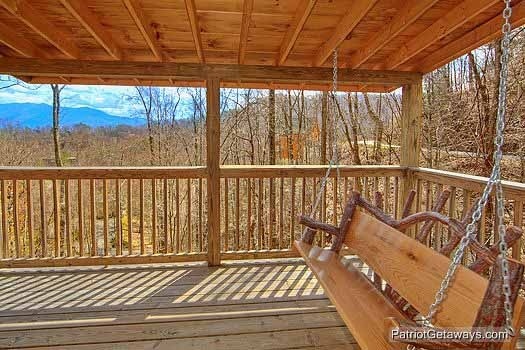 This expansive 5 master suite vacation home with a winter view of Mt. Le Conte, will keep you entertained and wrapped in luxury. 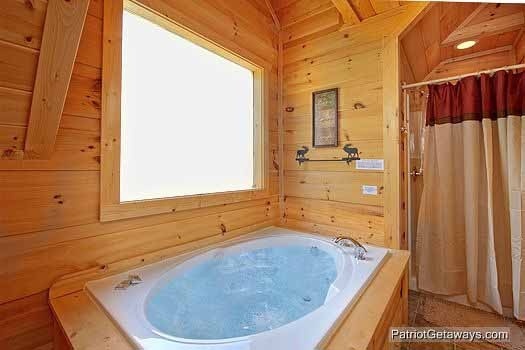 Each bedroom features a FIREPLACE and a PRIVATE BATH with JACUZZI TUB and seperate shower. 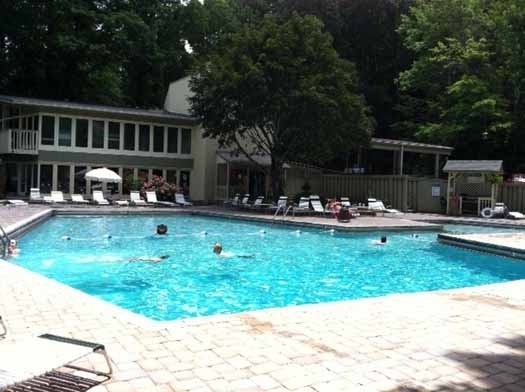 Alpine Point lodge has everything your heart could desire and then some. 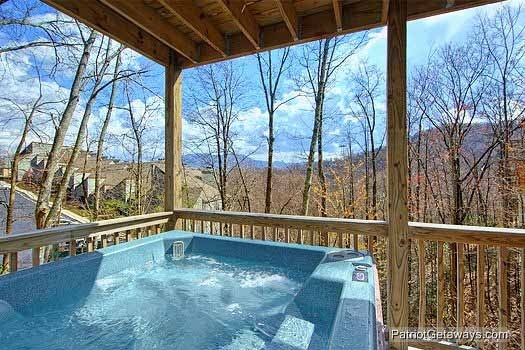 Your group can soak your cares away in the hot tub while enjoying the peace and quiet of the Great Smoky Mountains or just relax in one of the many rockers and take in the view. 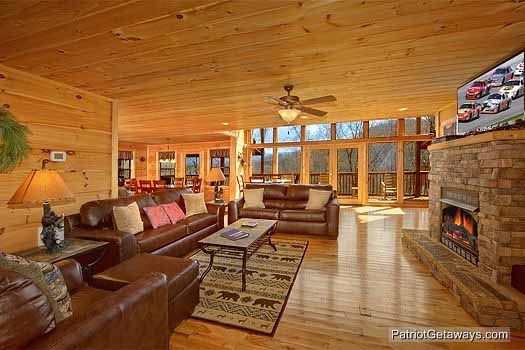 The great room entrance has lots of space for a group to be able to gather around the cozy fireplace and TV. There is even room for 14 to dine together, & whatever you need to take care of 14 hungry folks is found in the spacious kitchen. 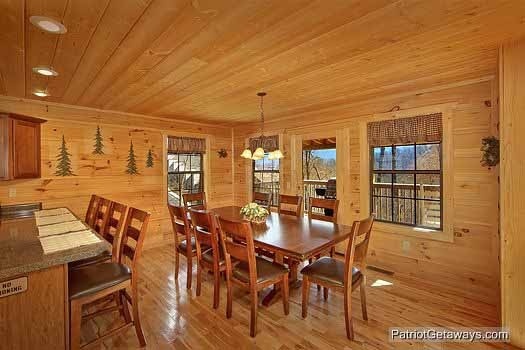 Make plans now for your group to stay in Alpine Point, you won't be disappointed in this Gatlinburg Log Cabin. Everything exceeded our expectations. The staff was friendly, cordial, and accommodating. 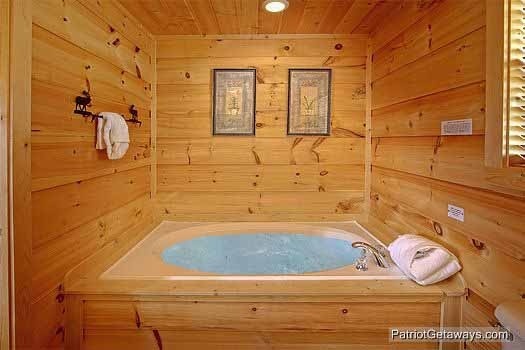 This is my second time staying at one of your cabins. The first cabin was nice but this one was even bigger and had much more to offer than the first one. 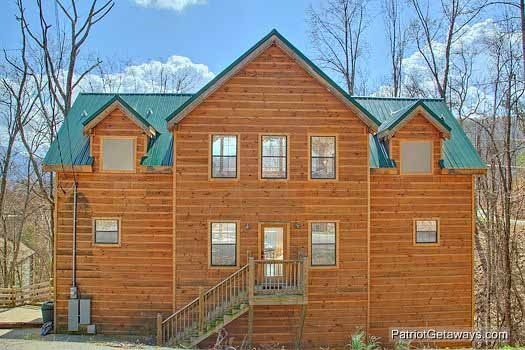 Both cabins were more than I had expected so that is why I chose to rent again with this company. 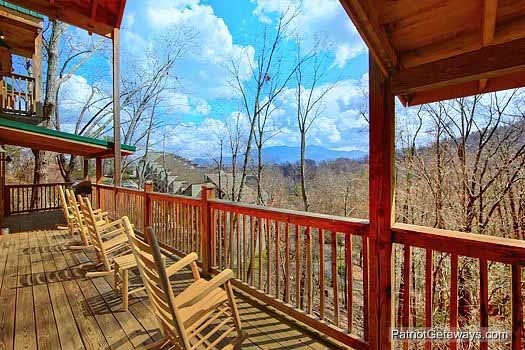 Thank you for the pleasant vacation stay and I will rent again when I decide to vacation in Tennessee again. 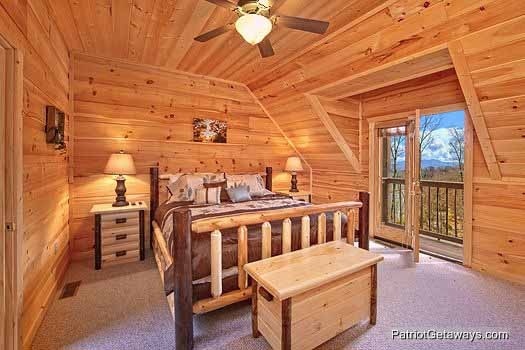 This was a beautiful cabin. 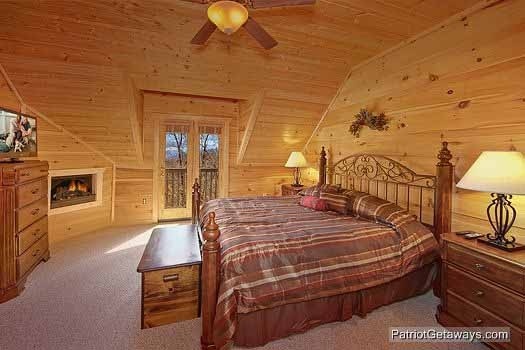 This was our sixth stay with APG and this was the best cabin yet! 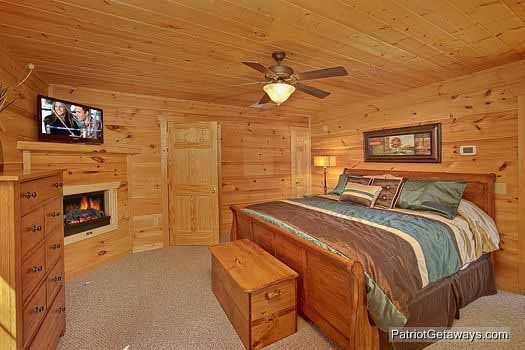 The cabin had 5 king bedrooms, all with their own bathrooms and fireplaces. This was perfect for a group of friends getting away for the weekend without the kids! The theater was perfect forwatching movies and the football games. It was wonderfully decorated and convenient to the strip in Gatlinburg. We will definitely stay here again! We enjoyed our stay greatly, and we even had the opportunity to see a few bears during our stay... It was amazing!!!! Thank you for the great experience. 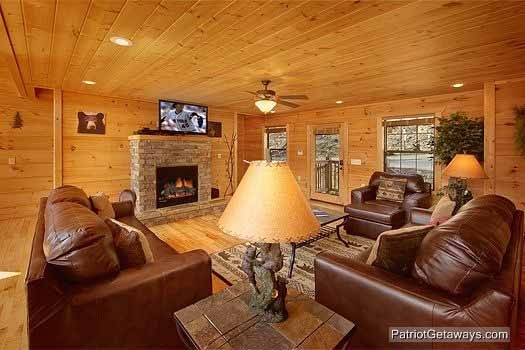 We use patriot getaways every year when we stay in the smokies and we will be returning again!! Had an awesome time. I have already gotten you a bunch of new clients on Facebook. Will definitely you American getaways again. 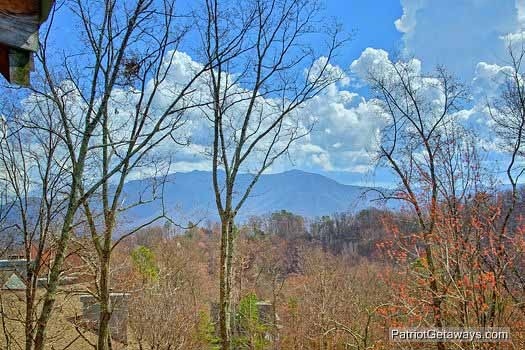 We had a wonderful time at the cabin and Gatlinburg! 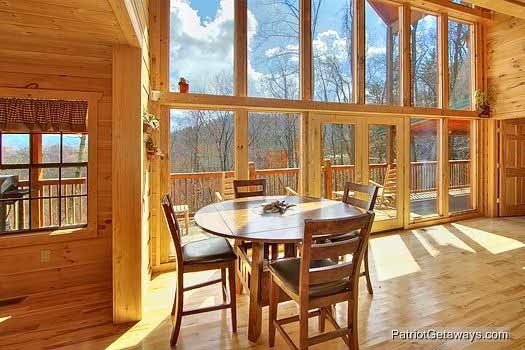 Alpine Pointe was a BEAUTIFUL cabin. It look exactly the same in person as it does on the website. 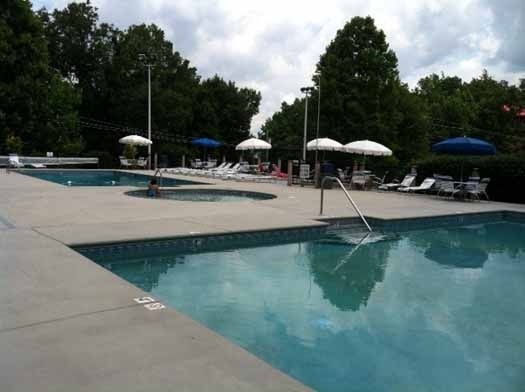 It was clean, had beautiful views, and the staff was very friendly and helpful during booking and during our stay. 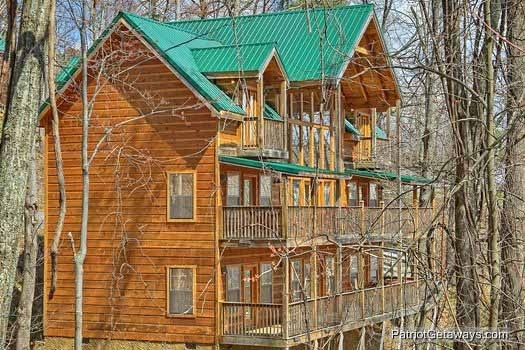 This cabin is great pick for a couples trip retreat! 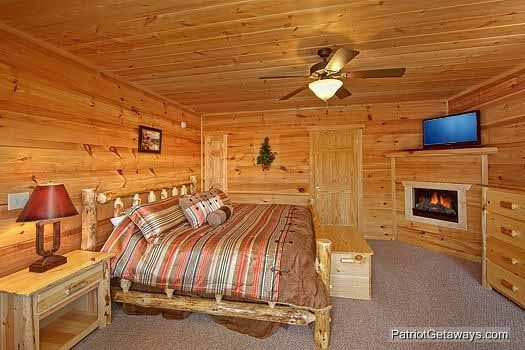 The bedrooms are all equal in size and have the same accommodations. The only thing I disliked was that the thermostat in the bedroom on the main floor controlled one of the bedrooms upstairs and we didn't figure it out until the last day. A helpful FYI on the temperature controls would be helpful. Also, the driveway is a little scary. 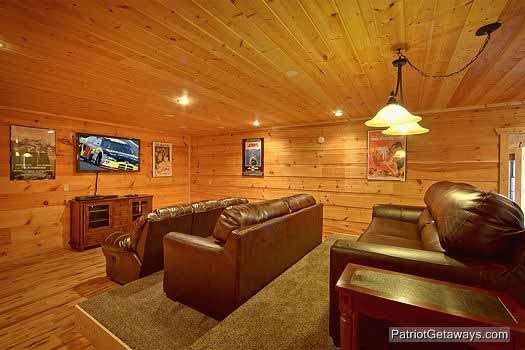 Overall I would definitely stay at this cabin again and book with Patriot Getaways. 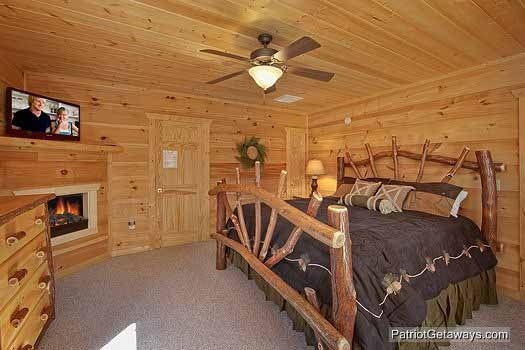 I highly recommend this cabin for any large group. 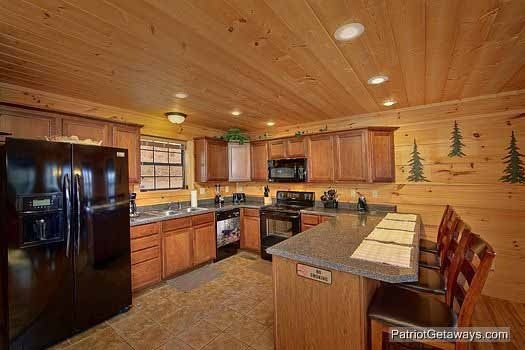 This cabin comfortably housed 12 including 2 teenagers and 2 children. 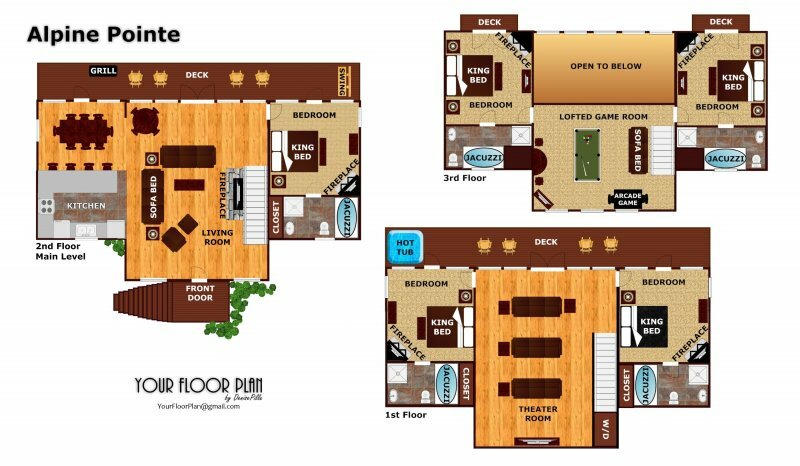 It's a beautiful, well maintained, roomy and comfortable retreat. The decks offered tranquility in a very scenic setting. 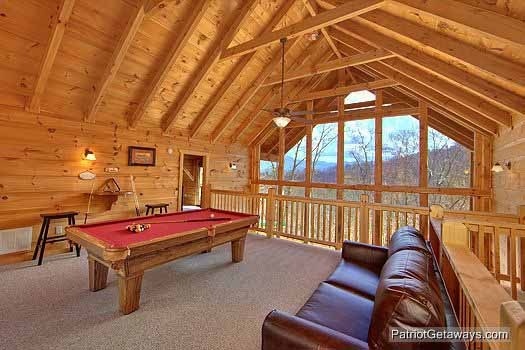 We enjoyed all the amenities from the pool table, the theater, hot tub, game table, and the pool down the road. One TV was not working and was quickly replaced the next day. We were awakened early one morning by the smoke alarms. The maintenance man arrived later that day to assure us that it was only a power surge and thankfully it never happened again. My only regret was that we didn't get so see any bears. But we did see a chipmunk and a woodchuck. We saw 4 bears and a coyote from our cabin, it was awesome!!! !